The Facebook Inc. chairman added $1.6 billion to his fortune yesterday after the world’s largest social network closed at a record. The surge elevated the 30-year-old’s net worth to $33.3 billion, moving him past Brin, 40, and Page, 41, as well as Amazon.com Inc. Chief Executive Officer Jeff Bezos, 50, on the Bloomberg Billionaires Index. Zuckerberg is No. 16 on the ranking. 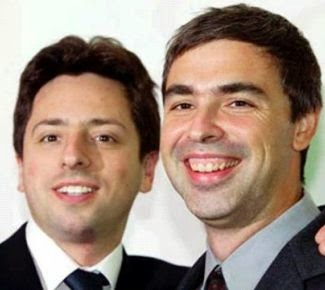 The Google founders are 17th and 18th. Bezos occupies the 20th spot. The Menlo Park, California-based company posted second-quarter sales that soared 61 percent to $2.91 billion yesterday, exceeding analysts’ average estimate of $2.81 billion. The company’s revenue gain follows Google’s results last week, when the Web-search company posted sales that topped analysts’ estimates, largely based on the strength of online ads. Facebook has jumped 183 percent in the past 12 months, the biggest rally in the Standard & Poor’s 500 Index, according to data compiled by Bloomberg. The company trades at 82-times reported earnings, compared to a multiple of 18.2 for the S&P 500. Google is up 7.5 percent for the year. Mobile promotions accounted for 62 percent of ad sales, up from 59 percent in the prior period. Net income more than doubled to $791 million, with profit excluding some items at 42 cents a share, above the projection of 32 cents. In total, Facebook accounted for 5.8 percent of worldwide digital ad revenue in 2013, up from 4.1 percent in 2012, according to EMarketer Inc. 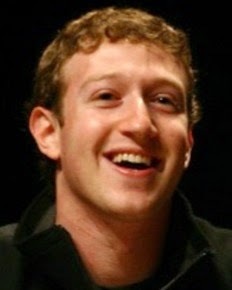 The company’s performance also propelled the fortunes of other Facebook shareholders, including Dustin Moskovitz, the 30-year-old who started the social network with Zuckerberg at Harvard University a decade ago, and Sheryl Sandberg, Facebook’s 44-year-old chief operating officer who became one of the world’s youngest female billionaires in January. Sandberg owns about 9.9 million shares valued at $740 million and has collected more than $550 million in share sales.